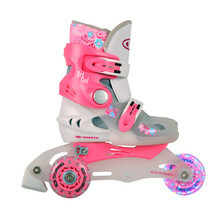 3-wheel skates are suitable for younger beginners. 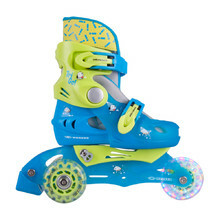 Their advantage are two rear wheels that ensure the skates’ stability and safety. Their size is adjustable, so that your child can use them for a longer period of time. All 3-wheel skates meet the highest safety standards and are certified by the German testing facility TÜV-GS.